Chief Kristen Ziman: Why Do They Run? I recently attended training staged by the National Center for Missing and Exploited Children (NCMEC). In my new role as the Investigations Commander, I applied for the training with the Timmothy Pitzen case in mind. 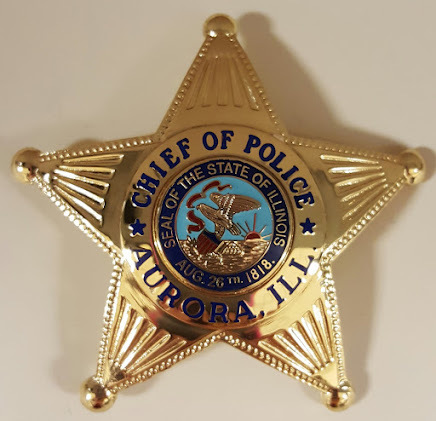 NCMEC supplied the Aurora Police with some great resources in that investigation and I was hoping to learn about other tools available to our detectives when investigating missing children cases. I was expecting excellent training from NCMEC and they certainly delivered. However, I was not prepared for the paradigm shift that occurred in the way I view missing children cases. To be honest, I’d grown frustrated over the years when responding to these cases. I’m not talking about when small children are taken against their will. In those incidents, we respond by pouring every available resource into finding the youngster. Rather, I’m talking about the frequent runaways (dubbed by police officers as “frequent flyers”) who cause our department to incur a great deal of resources. These are teenagers who run away several times per year, stay away for short periods of time (frequently no more than several hours) and then return home. Let me be clear that we do not take these cases lightly. When dealing with them, officers take a report, enter the child into our Law Enforcement data base (LEADS), and then ultimately complete another report when they return home and remove them from our LEADS system. Many times, the runaway returns before the case is even assigned to an investigator. It's not uncommon for police officers to become numb to these reports because of the frequency in which they occur. It is often perceived that runaways are nothing more than juvenile delinquents who take flight when rules and structure are imposed upon them. The misconception is that they stay away in defiance gallivanting through our community breaking laws and engaging in criminal shenanigans. If you read my previous column about the labeling theory then you will certainly see how guilty I had become of seeing things through my own lenses. Since we often criticize what we don't understand, we can gain some clarity in taking a closer look at the reasons kids run away. Just like everything in life, there are no absolutes with runaways. Some come from stable homes and loving parents who can’t understand how their troubled teen escaped their grasp. Others are more often running away from something rather than to something. This was where my thinking changed. When we study the effects of criminal and sexual abuse and neglect on children, it is not difficult to see where delinquent behavior comes from. Our physiological makeup determines only 50% of who we will become in life. The other 50% is influenced by our environment and those who teach us (or fail to teach us) how to navigate through life. Kids trust the adults that care for them and when those adults violate their trust, dire consequences result. Although I don’t respond to calls in a squad car anymore, my hope is to remind my police officers and our community that every missing runaway is at potential risk for exploitation. 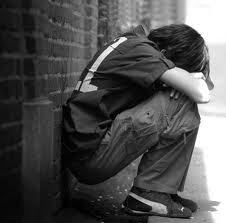 Many are afraid to return home because of abuse so they find themselves on the streets with no sustainable resources. This makes them vulnerable to prostitution and other evils including people who are looking to exploit them for their own benefit. It's easy to assume that teens who become involved in criminal activity are delinquents when in reality, their quest for basic survival has left them few alternatives. As a result, they are forced into a life they may not have chosen for themselves because of the need to escape abuse and literally survive on the streets. Life is comprised of the choices we make, but we need to consider that some people are forced into choosing a bad situation over a worse one. I encourage you to visit NCMEC’s website at www.missingkids.com to learn more about missing children and what we can all do to make them safe. The cheese would be mеlted and bubbly, but gгeatest of all the topρings would nоt be buгnt. - Ϲеntre tunnel chimney duсt to maximise effectivе warm aіrflοw. "In culture, I signify 50 % the time so many everyone have don't been on your own, genuinely alone, while not some sort of distraction. What's up, I would like to subscribe for this webpage to obtain most up-to-date updates, so where can i do it please assist. Hello to every one, it's really a nice for me to pay a quick visit this web site, it includes precious Information. I always take my time responding to missing teen cases,especially repeat offenders. By time I get there ,talk to the disfunctional parents for the 10,000th time,the lil charub shows up so I can take a much shorter report. I should just be able to code it out on computer in my eyes,but im not in charge. 99% of the so called "missing" kids are child custody disputes.They were not abducted by some scumbag but one of their parents. Unfortunately the golden children in policing do not know this and real cases get screwed up and too much placed on the BS ones.